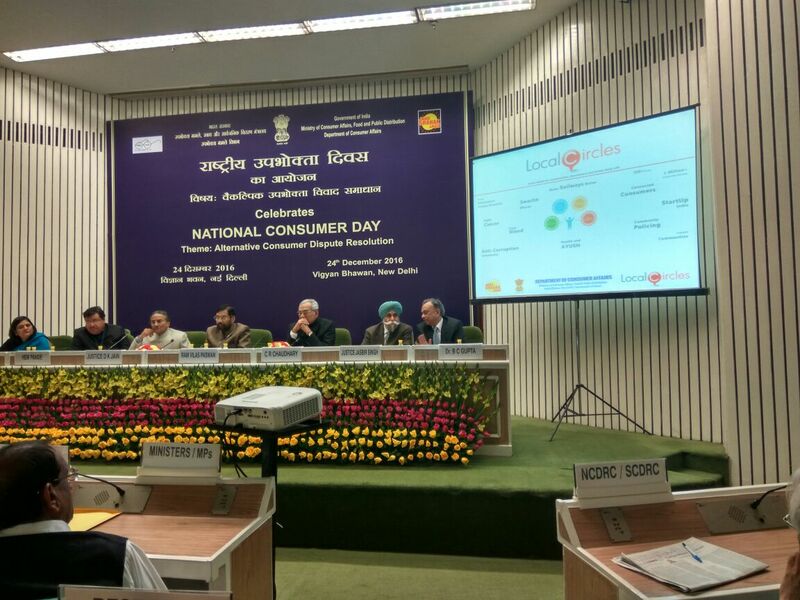 December 24, 2016, New Delhi: The Department of Consumer Affairs today announced the availability of an online citizen community “Connected Consumers” on citizen engagement platform LocalCircles. 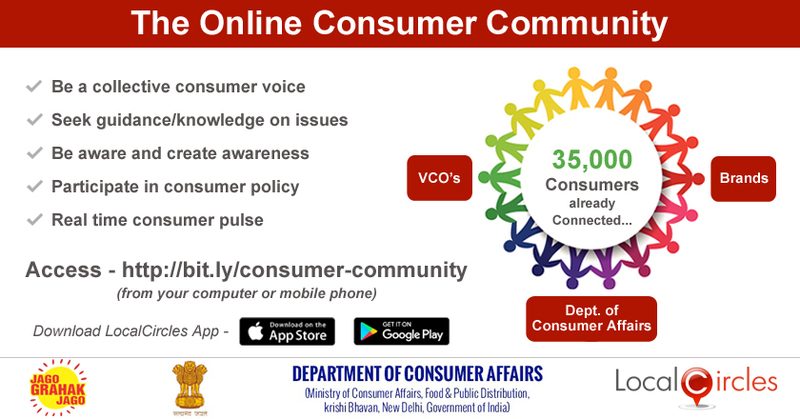 This online community enables any consumer from across India to get and stay connected with each other and the National Consumer Helpline, seek information/assistance related to consumer issues, learn from collective experiences and knowledge of each other as well as give inputs in regards to consumer policies as applicable. This is the first time that an online platform is getting the government’s approval for addressing consumers’ issues. The platform will serve as a communication channel for the Dept. of Consumer Affairs to create awareness about issues that affect consumers. The live community will help consumers in addressing their grievances with brands and companies. Currently, brands do not have a single platform for viewing or addressing the consumer issues. Consumer voice on the internet also gets diluted across multiple social media platforms. 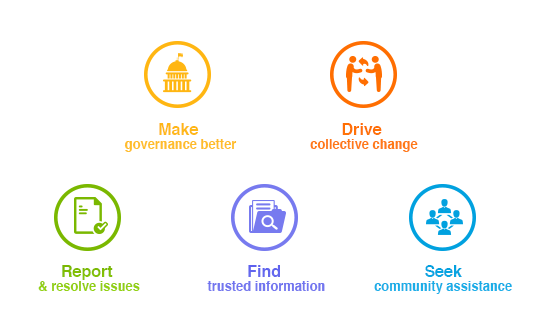 LocalCircles allows all these voices and grievances to be consolidated so both the government and brands can get a single view of consumers’ issues. Different voluntary consumer organisations from across the country will also be given access to the circle so that they can guide consumers as fit. Consumer organisations will be able to reach across to a much larger audience as LocalCircles has more than 1.2 million citizens registered on the platform. All these registered citizens are consumers and will be able to access this community. Based on the response, zone based local online consumer communities will be rolled out so on ground guidance and assistance can be enabled for consumers. During the soft rollout phase, over 35,000 active consumers from across India have already joined the platform and over 100,000 issues on various consumer issues like shelf life expired products, price manipulation of fruits & vegetables, grievances in telecom sector etc. Many participants have appreciated the initiative on the platform as a forward-looking step by the Department as it empowers the consumer and over time will lead to more consumer centric policies.